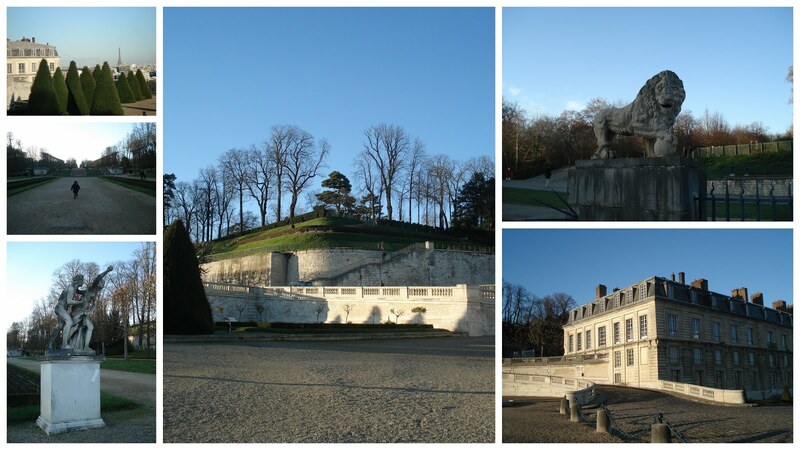 While the Jardin du Luxembourg or the Jardin des Tuileries may be Paris' better-known parks, this one - officially the Domaine nationale de Saint-Cloud - is definitely my favorite. H visited last weekend so we took T for a walk in the Parc de Saint-Cloud. The best part is the hilltop view over Paris (including the Eiffel Tower), but from the playground to the general layout it's a fantastic piece of the Ile-de-France. Though I'm not proud of Prussians' role in the destruction of the Chateau de Saint-Cloud in the late 19th century (though the French themselves firebombed it! ), the lack of palace adds a unique sense of haunting to the grounds - a bit like Monbijou Park in Berlin. The other side of the park, by Marnes-la-Coquette, has a little publically accessible farm with donkeys, goats, and various species of fowl. Since it's a long way for little legs to walk, it'll be worth a future visit. Triva! The end part of the video to Sinead O'Connor's "Nothing Compares 2 U" was shot in the park.